Nepal, one of the poorest countries in South Asia, has been further devastated by the recent wave of earthquakes at the end of April and in May. 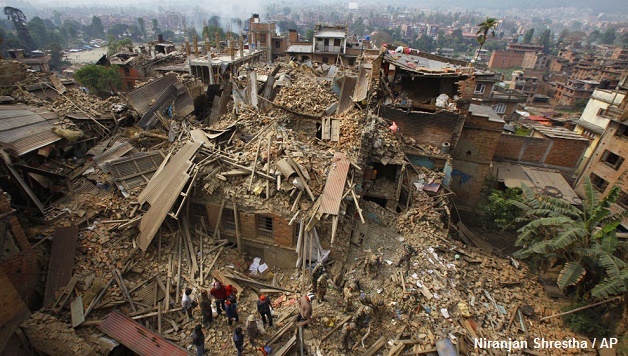 More than 5,000 people are estimated to have perished, and around 10,000 estimated to be injured. But the number of deaths and injuries is expected to become much higher as time passes. Most of the victims were rural poor and the poor in the cities who lived in “precarious housing.” The Guardian reports the grief of a paralyzed newspaper seller who is angry and desperate: “If we had money we would have built a strong house. But we had none. There is no place to go. There is no one to look after us. Life was hard for us already. I don’t want to be alive” (27 April 2015). Capitalist governments across the world pretend to be “sympathetic,” but they have offered very little help so far. The pathetic initial U.S. promise of $1 million help was even less than some of the poor countries are pledging. This aid is nowhere near the resources needed to provide essential services. According to UNICEF, apart from anything else, 940,000 Nepalese children are in urgent need of humanitarian assistance. 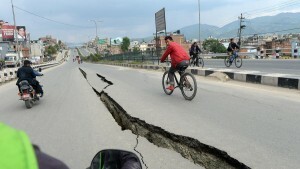 The government of Nepal and geologists across the world knew in advance that a disaster of this scale was waiting to happen, given the understanding about the movement of seismic plates in the subcontinent. 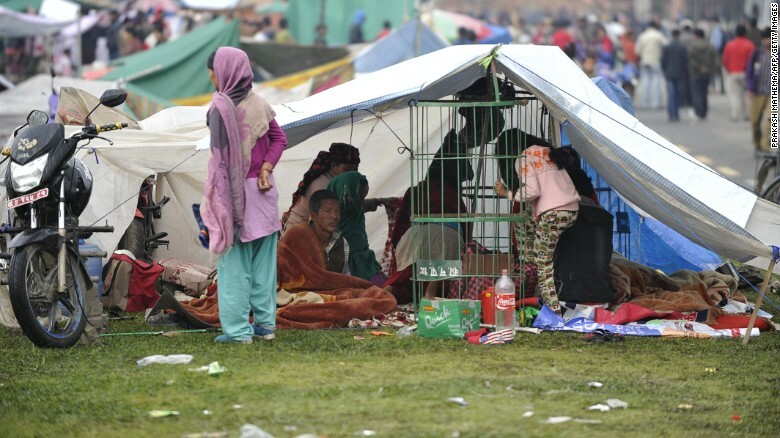 And yet the Nepalese government and other governments in the region made no effort whatsoever to prepare and take precautions to prevent large-scale death and disaster in the event of a major earthquake. The scale of the disaster is therefore man-made, in the sense that it could have been dramatically lessened if adequate preventive measures were put in place. Nepalese politics has been dominated by an endless tug-of-war waged between the Unified Communist Party of Nepal–Maoist (UCPN-M), and the right-wing Nepali Congress (NC) and their ally the Communist Party of Nepal–United Marxist-Leninist (CPN-UML) regarding establishing a new constitution. The Maoists (UCPN-M) gained significant support in 2006 after the great general strike saw the end of the rule of the Nepalese king. This was regarded then as a significant “political earthquake” which was to shape the whole region. Nepali workers, peasants, and poor turned up in tens of thousands, demanding not just the overthrow of the kingdom, but the establishment of a new government which reflected their interests. This desire was echoed in India, as well as in many other countries in the region. However, the Maoists failed to carry through the fundamental socialist transformation of society which would have enabled them to fulfil the wishes of the masses. Breaking with capitalism and implementing a socialist planned economy with the aim of spreading it across the region and beyond will be the only way for the Nepalese masses to free themselves from their shackles. Despite the favorable conditions that existed, the Maoists have argued that they need to pass through a “bourgeois democratic [capitalist] stage” of the revolution. They have argued the need for an alliance with the right-wing NC and CPN-UML, at a time when support for these parties was in decline due to their past collaboration with the monarchy. These pro-capitalist parties put this to good use by continually extending the negotiations for a new constitution – buying time to regain strength and influence. The direct involvement of the regional powers India and China also helped to strengthen them, while the Maoists continued to argue that they needed to collaborate with them to go forward. Prolongation of the discussions meant that the people won only very few improvements in their lives. All the parties have claimed to be in opposition to the kingdom of the past, yet no meaningful land reforms have been carried through. The king is still one of the largest landowners in the world. As a result, at the 2013 election the UCPN-Maoists suffered a significant loss of support. However, the period of support the ruling right-wing parties enjoyed has been put into question by the recent earthquakes. There is a massive discontent emerging against the government due to its mishandling of the disaster. This can rekindle protest and trigger new movements.